The excitement about the surprise Anushka Sharma-Virat Kohli wedding last December appears to have super-charged anticipation this year as well. 2018 began with rumours about Deepika Padukone and Ranveer Singh planning a wedding and another celeb couple (romance still not officially acknowledged) soon caught up - Sonam Kapoor and businessman Anand Ahuja have been all but married off by tabloids many times over. In the latest round of gossip, a date has been set - May - as has a venue - Mumbai - as has an entire guest list been drawn up by the Internet. We've helpfully collated them here for you. Here's what we found online so far. Rumours of an impending wedding started trending a couple of months ago and several media reports claimed that Sonam and Anand would marry sometime in April. Please note, no official statement from either of their families were or have been released. In February, Anand Ahuja accompanied Sonam to her cousin Mohit Marwah's wedding in UAE and rumours about their own possible wedding gained pace. Days later, actress Sridevi (Sonam's aunt) died in Dubai and Anand Ahuja was there with Sonam and her family. He also attended Sridevi's funeral in Mumbai. Now, about a month after Sridevi's tragic end, fresh tabloid reports suggest that Sonam and Anand will marry in Mumbai between May 7 to May 10. Switzerland was previously reported to have been chosen as their wedding destination. A Mumbai Mirror report reads, "It was becoming too cumbersome to manage the travel and living arrangements for approximately 150 members of the extended family and close friends of the Kapoors as well as Anand's. 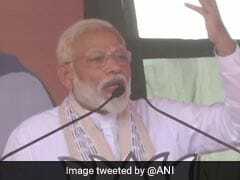 It would have been difficult for the senior members of the extended family, who are expected to attend all the ceremonies, to fly to Switzerland." Meanwhile, some other reports say that the wedding will be held on April 29. The Mumbai Mirror report also states, "The Kapoor family is working overtime to finalise the details at the last minute after several changes in the dates. Since South Bombay would be too far for the families as well as the guests from Delhi, Sonam and her mother, Sunita, want to finalise a suburban hotel, preferably in Bandra or Juhu (where the Kapoors also reside)." An exclusive Filmfare's report puts the wedding dates as May 8 to May 12 and has also revealed names of the confirmed invitees, which include Sonam's Prem Ratan Dhan Payo co-star Salman Khan, her Veere Di Wedding co-stars Kareena Kapoor and Swara Bhasker, Kareena's husband Saif Ali Khan and sister Karisma; Ranbir Kapoor, with whom Sonam debuted in Saawariya, Alia Bhatt, Varun Dhawan, Ranveer Singh, Deepika Padukone, Karan Johar and Jacqueline Fernandez. The reported wedding dates are very close to the Cannes Film Festival, which Sonam has attended for several years now. Also, her new film Veere Di Wedding releases on June 1. What Sonam Kaooor and Anand Ahuja's Instagram account looks like. 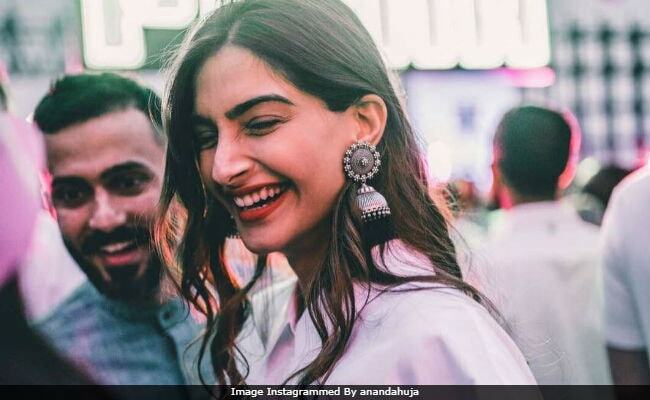 Sonam Kapoor and Anand Ahuja have refused to acknowledge they are dating but they have been on holidays together and often pop up in each other's Instagram posts. Last year, Anand attended the National Awards ceremony with the Sonam's parents Anil and Sunita Kapoor. Sonam received a Special Mention for her work in Neerja. "I can see myself in all things and all people around me." MERRY CHRISTMAS "A lot of different flowers make a bouquet." "Conquer the devils with a little thing called love." Bob Marley Happy Valentine's Day ! Everyone deserves to love and be loved! So far Sonam Kapoor, 32, has decided not to answer any questions related to wedding and told news agency IANS, "...About how they will take up their career after marriage, when will they make a comeback after the birth of their baby. This whole attitude towards married actress should be changed."